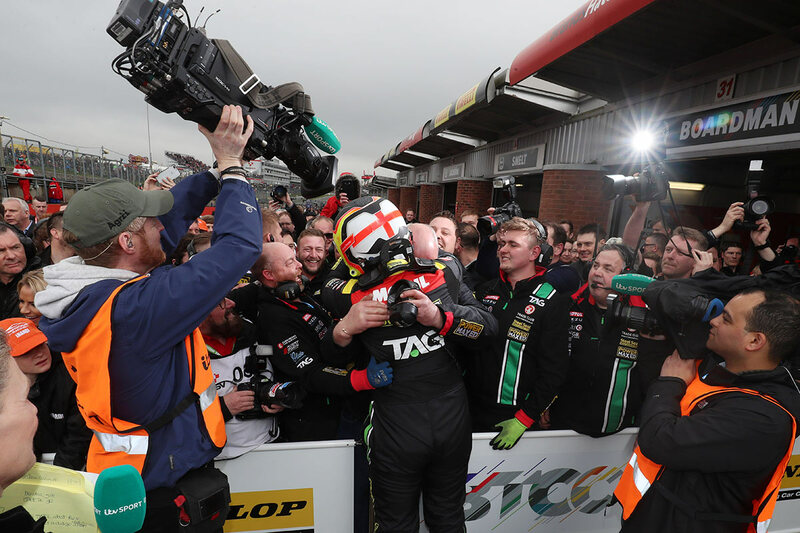 The first round of the British Touring Car Championship surprised ESM’s BTCC Correspondent this year, with a mixture of drama and variety. Whinge, whinge, whinge. Brands Hatch Indy – why do we even bother? It’s a waste of time having a lap that’s just 50 seconds long and hardly allows for overtaking. It’s been like a broken record for years, but suddenly along came the class of 2018. Wow, what a start! Three different winners, nine different drivers on the podium and the top ten is completed by ten different makes of car. 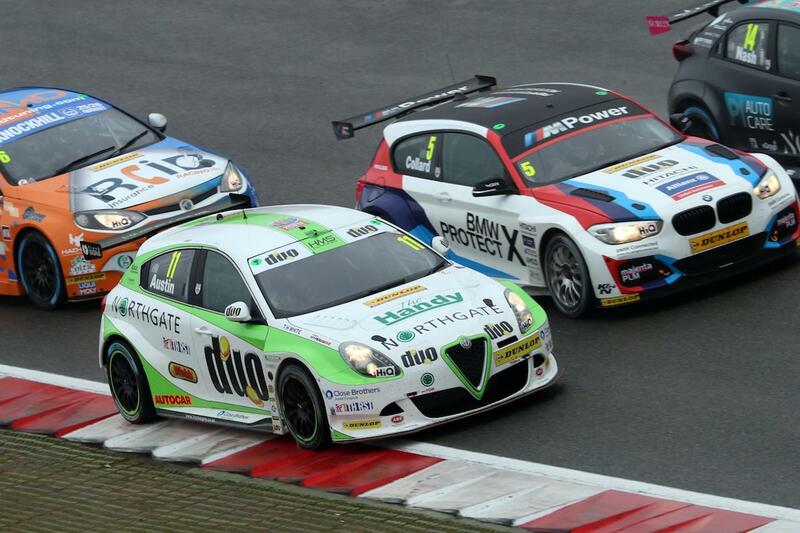 Race two: The reason we watch the British Touring Car Championship. Conditions were still wet, but drying, which meant some took the gamble to start on slick tyres. It looked a pretty silly choice for just over half of the 27 lap race. Jordan took the lead off the start line and after a short safety car period, Ingram moved to front and held the lead for a considerable time. Things started to get interesting around lap 14 where the final top three drivers, who all secured their first ever podiums, were 26th, 24thand 21st. The slick tyres of Senna Proctor, Jake Hill and Ollie Jackson started to come alive and through the field they came, along with Tom Boardman and Aiden Moffat. A quite stupendous charge. Race three: Another race and another winner that started outside the top ten. Ingram was 11thafter the reverse grid draw that landed Rob Austin’s shiny new Alfa Romeo Guilietta on pole. Austin got away well, as did Ingram who made five positions off the line. Austin led until the end of lap 12 when Ingram held a tighter line off the final corner at Clearways and powered by – a carbon copy move was used by Adam Morgan to secure second on the penultimate lap. However, Austin still secured the first outright Alfa Romeo podium in seventeen years. On completion of the weekend’s three races, Ingram holds a slender championship lead from Goff and then Morgan. 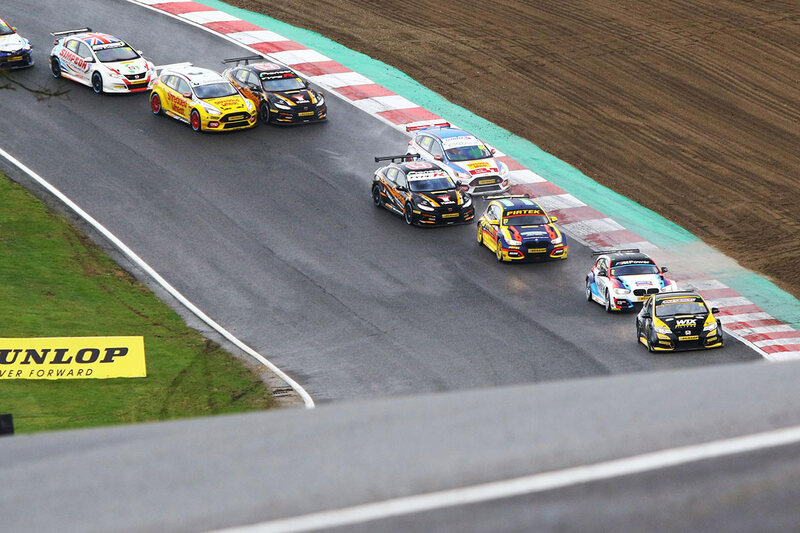 You feel as though Turkington would be up there had it not been for electrical gremlins off the start line in race two, as his pace was excellent all weekend. Ingram should no longer be classed as a young gun or novice; he’s starting his fifth campaign and will feel he has a realistic championship chance in a proven car that he’s at one with. Another driver who seemingly fits the car perfectly is Sutton. The Subaru doesn’t appear to be the quickest on the grid, just ask Jason Plato, but once again Sutton out-performed his car, proving his success last season really was outstanding and deserved. On this showing at Brands, he’ll surely be up there again this season, especially when he’s already 26 points up compared to this stage last year. 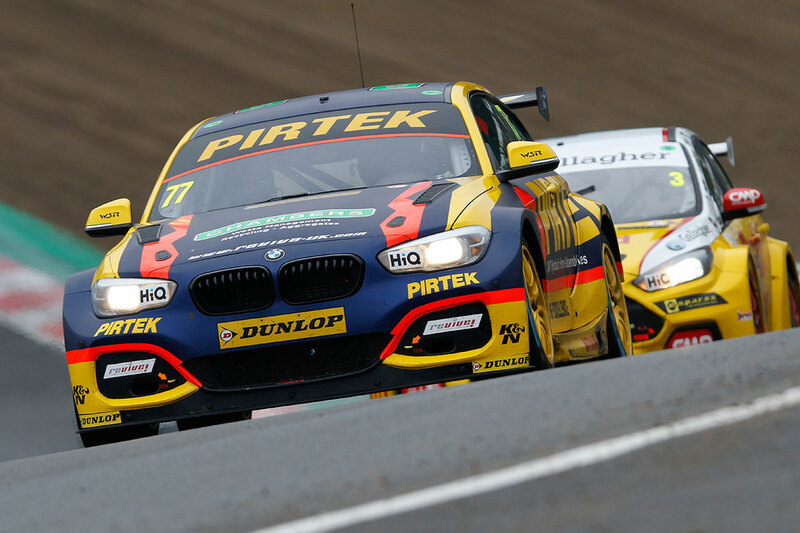 Last season’s runner-up, Turkington, looks at home as ever in the BMW 1-series and Andrew Jordan looked much more comfortable in the Pirtek Racing version too, after a slightly under-par 2017. Rob Collard, however, was on the wrong end of luck and will be hoping for better this season. In the same ‘hoping for better’ category will be the Honda Yuasa Racing duo of veteran Matt Neal and new comer Dan Cammish. The Hondas showed great qualifying pace, but went missing in the races. Honda had a difficult season, by their standards, last year and with a new car it may take a while to get up to pace, but I’m sure we’ll be seeing them soon enough. A team that seems to traditionally take half a season to wake up are Motorbase and their Ford Focuses. No such problems this time as Chilton, James Cole and the returning Sam Tordoff showed with their pace, although their results might not have been great. It’ll be interesting to see how they get on this season. If the season continues with the same amount of drama and action that we saw at Brands Hatch Indy, a traditionally poor set of races, then what a 60thseason we are in for. More of the same, please. Previous Post Ned Jasper – Things are looking Up! 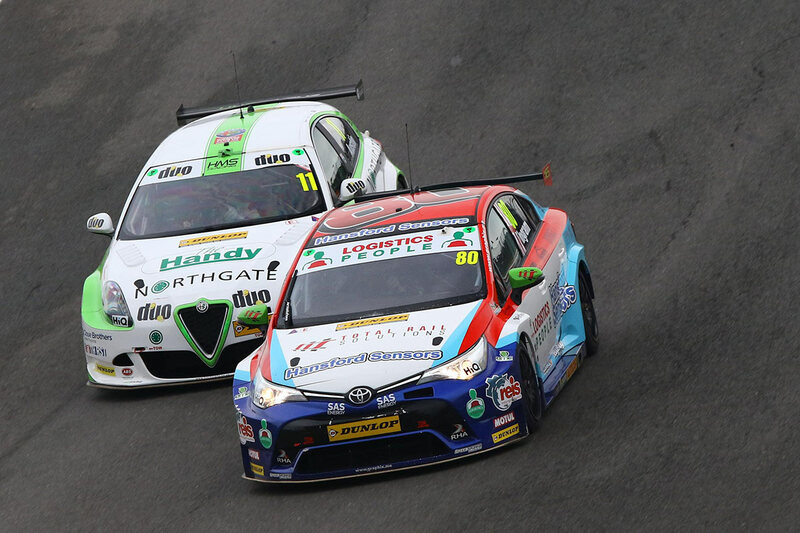 Next Post BTCC 2018 | Donington Park | What did we learn?